We specialize in weddings, corporate events, bar & bat miztvahs, school events, parties…pretty much any event you can think of, we can do! If you don’t see a package that fits your needs below, just ask us and we’ll put together a custom package for you. A non-refundable 50% deposit is required to secure your date. Our standard packages start at $725. Ask about our special pricing for weekday and last minute events! Packages are designed for up to 250 guests. For events with more guests, please contact us for a custom quote! Set up and delivery fee may apply to all packages. Please inquire for details. 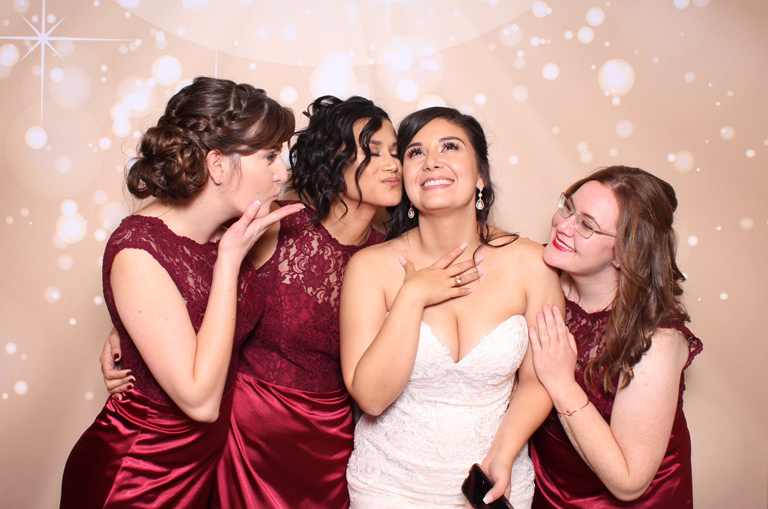 Add these extras to enhance your guests’ photo booth experience! Call, text, or email us or fill out the form on the Contact page. We look forward to working with you!